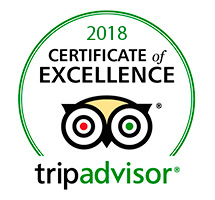 More than 200.000 people trusted us! 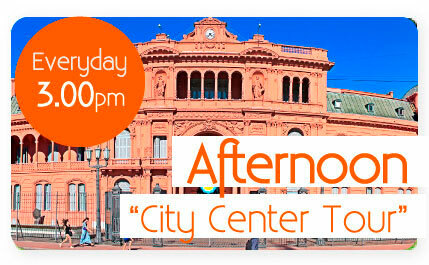 We run 2 Free Tours in Buenos Aires every day. No need of booking, Just Show Up! Click on the image to open Google Maps.  We meet Every day 10.30am at Plaza Estado del Vaticano (Corner of Libertad and Viamonte), next to Teatro Colón. Tour will take around 3.5hs. 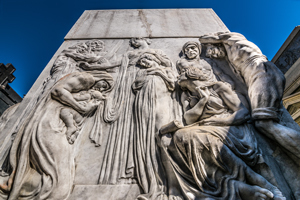 On this Free Tour Buenos Aires in the Morning you enjoy a walk as you hear the background behind the beautiful palaces, parks and monuments of Recoleta. Discover the aristocratic BA with its magnificent architecture and learn about a generation that made BA the cultural capital of South America. 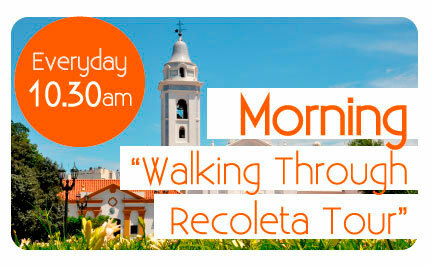 We will walk from the famous Teatro Colón through the fanciest streets of Retiro and Recoleta neighbourhoods up to the Recoleta Cemetery.  * There is no need of booking in advance! 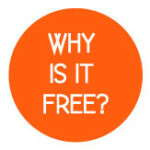 It's a Free Tour, just show up! 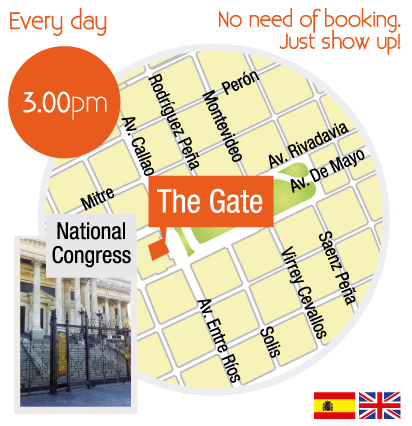 We meet every afternoon at 3.00pm at the gate of The National Congress (Av. Entre Rios 51). Tour will take around 3hs. 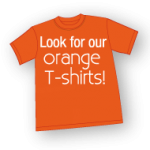 Discover City Center with us! 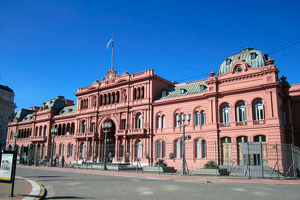 On this Free Tour Buenos Aires in the afternoon you get a historic and political perspective of our city, starting from the National Congress and walking the grand boulevard of Avenida de Mayo, with its architecture and sites, revealing the most glorious and terrible periods of our history. Meet the famous characters of Evita Peron and Pope Francis, our biggest achievements and our cultural struggles. 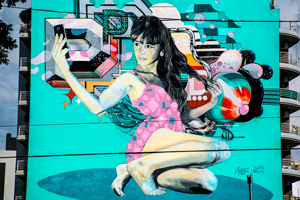 We will finish in Plaza de Mayo, heart of BA and city-centre since the colonial period, the place of expression of the saddest and happiest moments of our history. * There is no need of booking in advance! 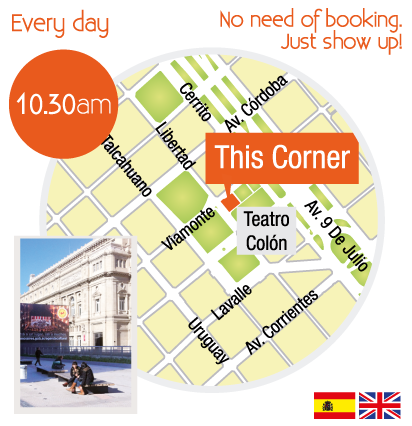 It's a Free Tour Buenos Aires, just show up! 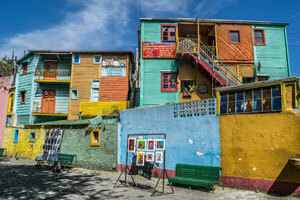 We recommend a complete itinerary so you can enjoy Buenos Aires deeply.